If there was any doubt, it should be clear to all that Speaker Paul Ryan is working against President Trump. Just this week, he sold out Trump for 30 pieces of silver. He put forward a bill that could not be passed in order to embarrass the President. 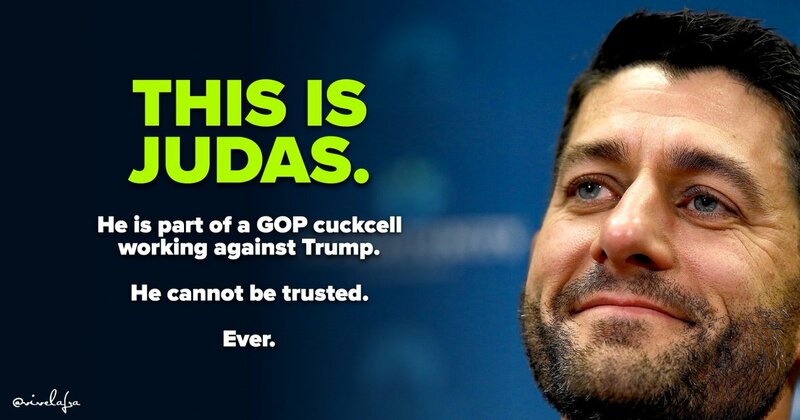 Ryan is an agent of the Deep State and can never be trusted.